These launches mean that Dropbox will be more valuable to people as a productivity service, and not just a folder to hold files. It’s especially important as the company tries to capture the interest of business users, who have a wide variety of competing storage services they could subscribe to instead. 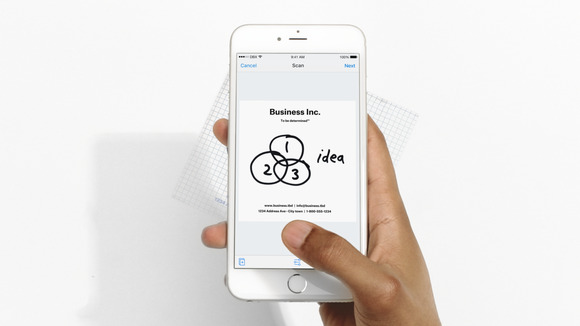 Starting Wednesday, users of Dropbox’s iOS app will see a big plus button that they can tap to add content to Dropbox from their phone. To help with that, Dropbox is adding support for scanning documents with the iPhone camera, and saving them as PDFs. The scanning feature lets users upload multipage documents, and gives them the ability to adjust the settings of each scan so that uploaded documents are at their most readable. Using the plus button, people can also start Microsoft Office documents from the Dropbox iOS app. 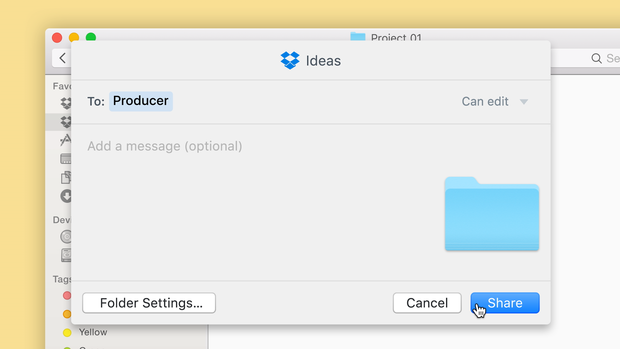 First, users select the document type, where they want to save it, and give it a file name, all inside the Dropbox app. After that, they’ll be sent out to one of Microsoft’s mobile apps to edit the file they just created, with all the changes being saved back to Dropbox. Company representatives wouldn’t say when users could expect Dropbox’s Android app to get the same features, but said that the company believes in making sure that its apps have feature parity across platforms. On top of that, all users can now share single files with specific people, rather than having to provide open access to everyone with a link or giving a list of people specific access to a folder. 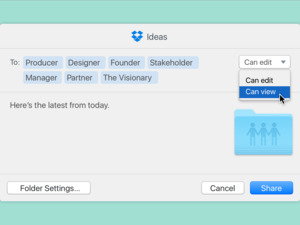 Users of Dropbox’s free tier will also be able to share folders in read-only mode, something that was previously only available to paying customers. 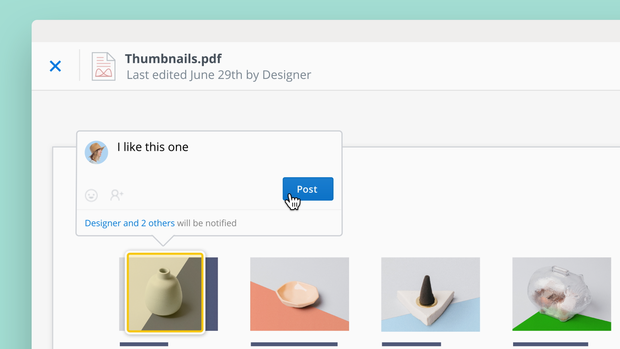 Dropbox users can now comment on the content inside a document or image, so the people they’re working with can know exactly what is being discussed. After sharing files, users will now be able to comment on specific parts of a file from their Web browser. Previously, Dropbox comments weren’t able to reference a specific part of a file—now users can highlight an area and discuss it in particular. In the future, Dropbox will also allow users to attach Dropbox comments to Office files within Microsoft’s desktop productivity apps. It’s planning an update to the Dropbox badge that will let people make live comments on a PowerPoint presentation that show up in Dropbox, without having to leave the file they’re working on. Dropbox also gave business users a new security-focused feature. Dropbox Business administrators can now access a new audit log, which provides a record of everyone who interacted with a particular file. Those logs can be viewed through an online administrator console, but are also accessible through the company’s API. The news comes a week after Drew Houston, the company’s co-founder and CEO, revealed at a conference that Dropbox is operating cash flow positive. It’s a positive sign for the company, which hasn’t been much for announcing new, shipping features over the past year. These announcements may signal a sea change for the company going forward—it’ll be interesting to see what comes next.